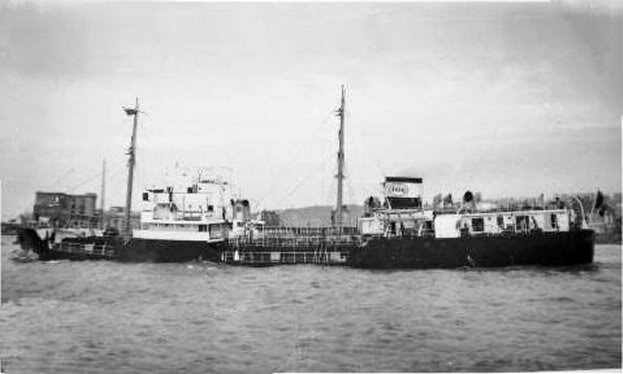 "Esso Roche Maurice" was build in 1948 as "Roche Maurice" and was sold to Esso in 1949. 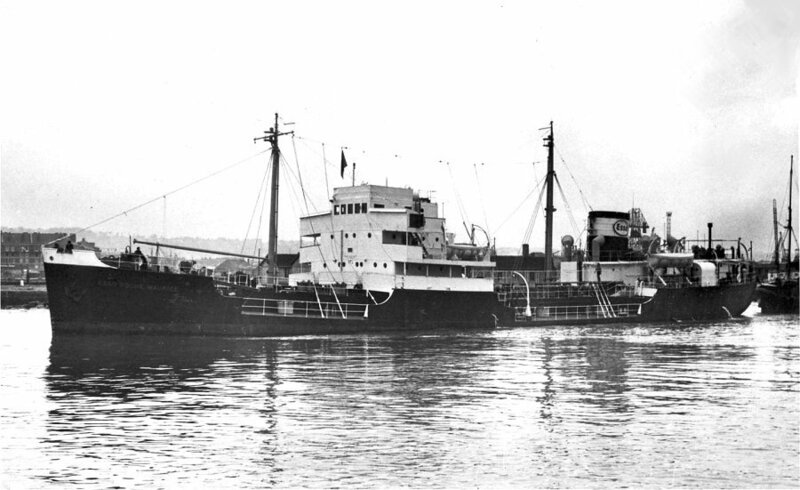 The Miramar Ship Index for "USEDOM / ROCHE MAURICE"
Scuttled as breakwater, Port Gentil, Gabon 11.1970. ROCHE MAURICE (1949 -1952) - ESSO ROCHE MAURICE (1952 -1967) F.N.C.R. 1927 g. 837 n. 2150 d.; 77.05 x 14.06 x 5.18 meters (4.81 draught). 5 Cyl. 2S.C.SA. Man oil engine of 1160 BHP by the shipbuilder. 11 knots. 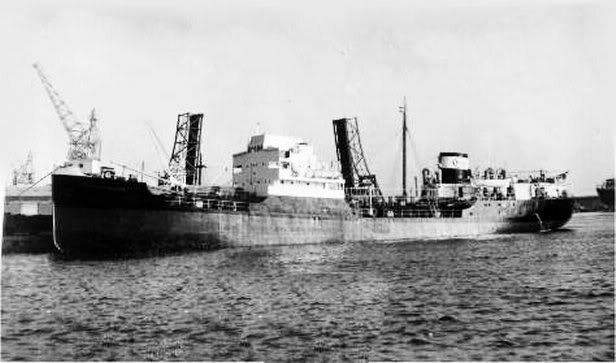 as ROCHE MAURICE for Standard Francaise des Petroles, registered 03.03.1949. 1952 : renamed ESSO ROCHE MAURICE when owner restyled as Esso-Standard SAF. 1967 : sold to Ste Petromer, Bordeaux and renamed PETROBOURG. 05.1968 : to Cie Europeenne d'Armement, Bordeaux (Petromer). 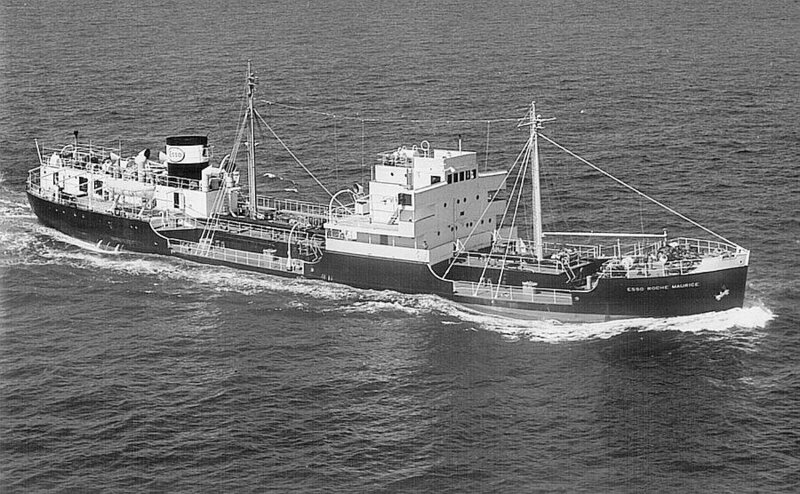 27.10.1970 : left Tema in tow for Port Gentil where she was sunk as a breakwater. Sislcrships : PORT JEROME, RAOUL SIMON, MEXPHALTE.